Stool by Pierre Chapo in solid elm, France, 1960s. Model #S-01-C Can also double as a side table. Slight marks on top surface. The iconic three-legged stackable stool designed by Arne Jacobsen for Fritz Hansen. Two available. A group of four Pierre Chapo bar stools model #S-01-C in solid elmwood. 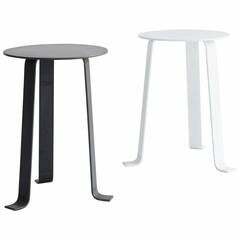 Square form seat with soft edge, tapered legs and a footrest. France, circa 1960. 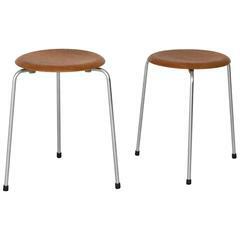 A pair of Pierre Chapo model S01A stools with a square seating. These pieces in the Campagne style are made of a rich dark and warm elm, France, circa 1960s.